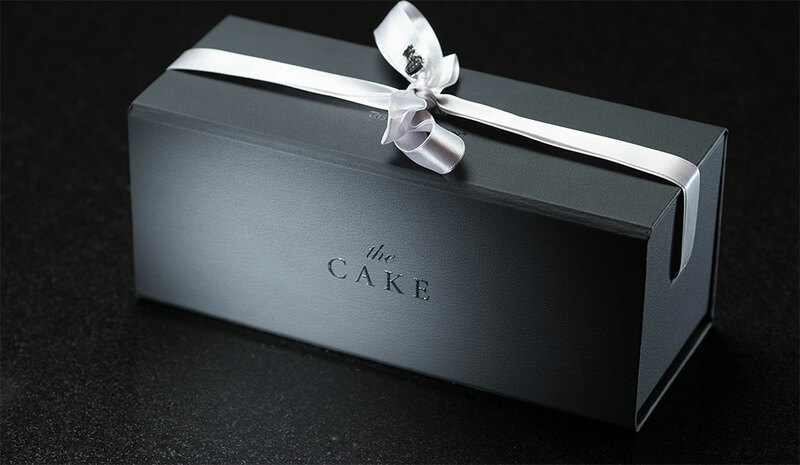 Sign Up and Save with our The Cake Subscription! 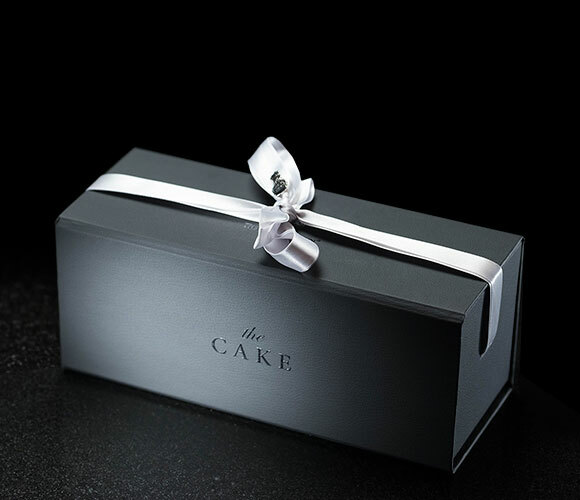 You will receive The Ritz-Carlton's The Cake every month. You may cancel at any time. 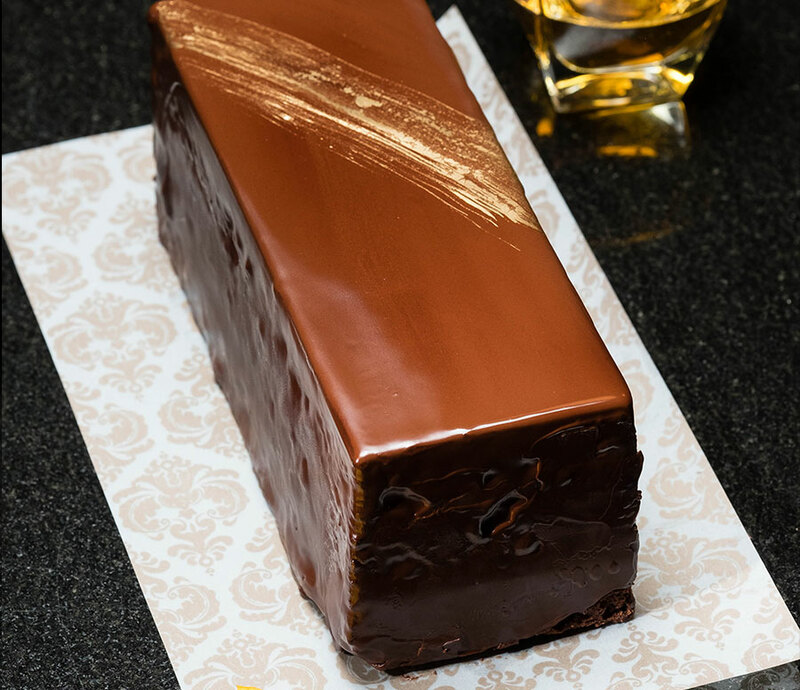 Celebrate your next special moment with our delectable signature Ritz-Carlton cake, a chocolate sponge cake rippled with caramel and ganache. 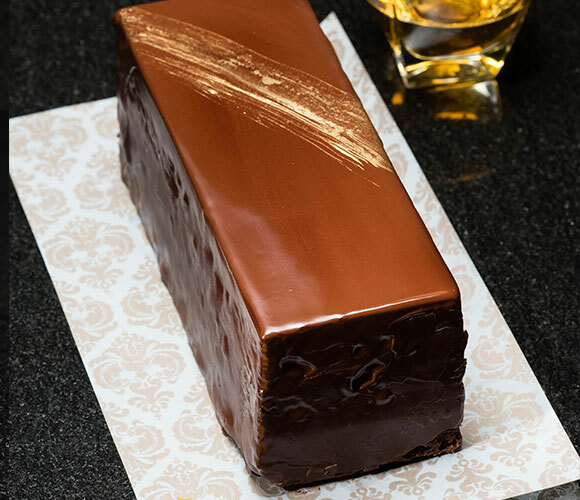 Created by The Ritz-Carlton Toronto pastry chef Yusuke Aoki, the layer cake is made with rich Valrhona chocolate and ribbons of caramel and orange ganache. 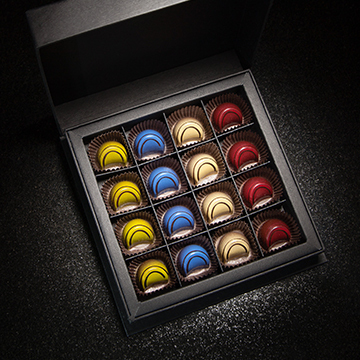 The candied fruit ganache, made with a blend of Grand Marnier liqueur, lends a sophisticated touch of decadence. 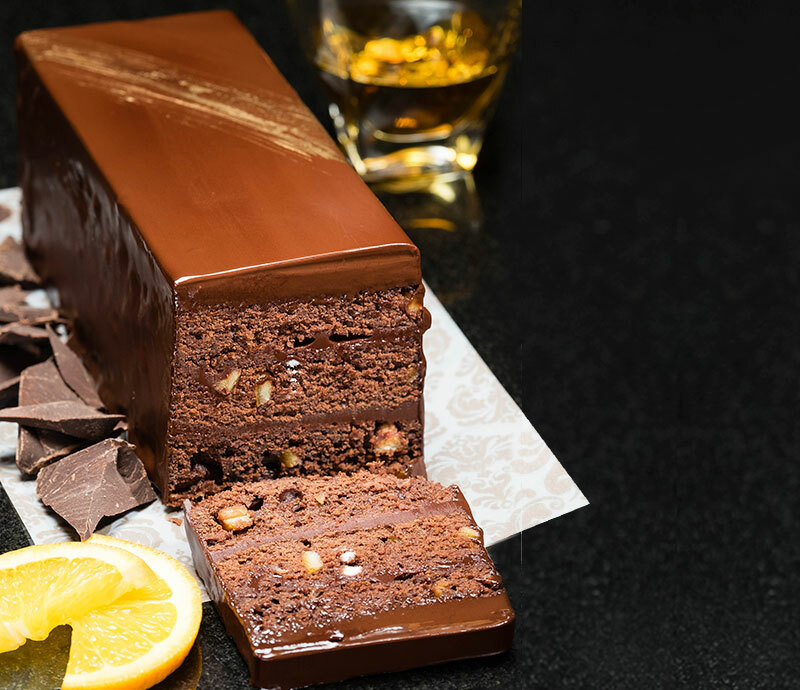 The liqueur not only adds a distinctive flavor to the cake, it pays homage to hotelier and owner of the Ritz Hotel Paris, Cesar Ritz, who named the liqueur in honor of his friend and the inventor of the drink, Louis-Alexandre Marnier Lapostolle. A final layer of chocolate envelopes the cake. From small victories to your next big announcement, The Ritz-Carlton Chocolate Cake’s arrival in a custom box ready for slicing will be the highlight of your celebration. The Cake ships frozen, serves approximately 8-10 guests and is best enjoyed within five days. Our cakes are not manufactured in a nut free environment and may contain traces of peanut or other nut oils. Shipping Details: Our cake is only available to ship within the Continental United States. Orders placed 12:30 p.m. EST Monday-Wednesday will be received by Friday. 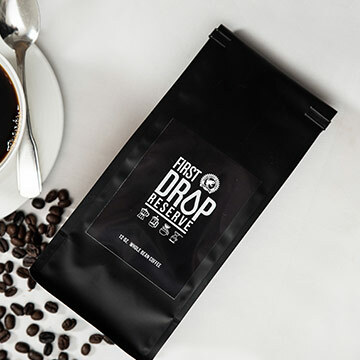 Orders placed between 12:30 p.m. EST Wednesday through 12:30 p.m. EST Sunday will deliver by Wednesday the following week. Extended delivery lead times will apply for orders during the weeks prior Valentine’s Day, Easter, Mother’s Day and Christmas. 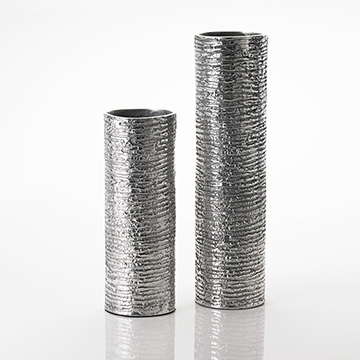 Due to the required expedited shipping, this item will incur a $29.00 flat rate shipping fee.